Jason Sherlock joined the DCU Educational Trust team in March 2018. 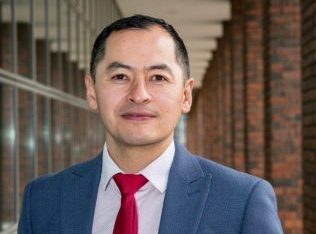 As Associate Director, Jason’s role focuses on creating and developing relationships to further the mission and objectives of Dublin City University. Through his involvement in Irish sport, Jason is a well-known sporting personality nationally. As a player, Jason represented Ireland in soccer and basketball and also played for the Dublin Senior Football Team for 15 seasons. He is currently a selector with Dublin’s All-Ireland winning Senior Football Team. Jason has over 15 years’ experience in Sales and Business Development in the corporate sector. He graduated with an Executive MBA from DCU in 2014.